Inside: Hope you get everything you wish for and more! More Info: Features a glittered butterfly tip-on (die-cut image attached to the front of the card) giving an incredible 3D effect to the card. It also features a scallop diecut of the top of the front panel showing a small portion of the rich colored card interior. It also comes with a coordinating envelope. Inside: May Christmas bring beautiful and unexpected joy to your world. More Info: A tip-on red cardinal is nestled on a bed of branches that showcase wonderful holiday quotes and verses. Touches of glitter bring a sparkle as if new fallen snow is settling on the branches. Includes 12 cards and 12 envelopes in a twine wrapped craft paper box. From the Image Arts Boutique Collection. Inside: May all the magic of the season be yours. More Info: Heavy glitter makes the snow sparkle on this unique snowman holiday card. The card has a unique look and feel because the image of the snowman and the surrounding snow is actually a die-cut image that lays on top of the blue background. More Info: This beautiful hand decorated 75th birthday card features die cut 3D tip on flower illustrations that appear to 'float' above the artwork, spot UV treatment and glitter to create a wonderful shimmer to the flowers and swirling patterns along with purple sequin. Front: There's no one as Fun, as Zany, and as 100% Unique as you. 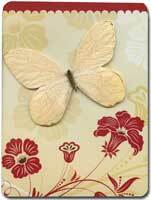 More Info: Features a flower tip-on (die-cut image attached to the front of the card) giving a 3D feel to the card. Also features glitter accents. This card is printed with vegetable-based inks on recycled paper using wind based power. Made in the USA. More Info: This beautiful Christmas card design displays the detailed artwork of Barb Tourtillotte titled 'Holidays Remembered'. The design features a square panel with Tourtillotte's artwork that is attached to the front panel of the card while a shimmering ribbon wraps around the front panel. Touches of glitter bring an extra sparkle to some of the text printed on the front of the card. The envelope features coordinating artwork. More Info: This hand decorated 65th birthday card features an array of wonderful embellishments to make it a keepsake long after it has been received. A gold foil trimmed 3D tip-on diamond pattern floats above the front panel of the birthday card resting inside a diamond shaped die-cut window. Spot UV coating creates a wonderful glossy look throughout the artwork and touches of glitter bring a wonderful sparkle to the corners. Four bronze foil sequins add the finishing touch to the front panel. Inside: today, it's OWL about you! 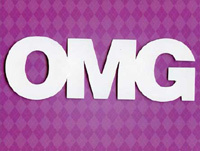 More Info: Features an owl tip-on (die-cut image attached to the front of the card) giving an incredible 3D effect to the card. Also features gold foil lettering. This card is printed with vegetable-based inks on recycled paper using wind based power. Made in the USA. More Info: This unique wedding anniversary card tip-on (die-cut image attached to the front of the card) lettering, hearts, and lips that are accented with heavy sparkling glitter to create a 3D effect. Also includes a coordinating envelope. 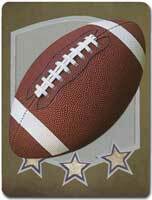 More Info: Features a “like button” tip-on (die-cut image attached to the front of the card) and glossy accents giving an incredible 3D effect to the card. This card is printed with vegetable-based inks on recycled paper using wind based power. Made in the USA. More Info: This truly unique wedding card features a bumper and tin can tip-on (die-cut image attached to the front of the card), black string and red jewels giving an incredible 3D effect to the card. It is die cut above the car so that you can see the cloud illustrations from the full color interior even when the card is closed. It also includes a coordinating envelope. More Info: This cute birthday card features a kitten tip-on (die-cut image attached to the front of the card), glitter and a real ribbon giving an amazing 3D effect to the card. It also comes with a coordinating pink envelope with confetti illustrations. More Info: Features a birthday candles tip-on (die-cut image attached to the front of the card) giving an incredible 3D effect to the card. Also features glitter accents. This card is printed with vegetable-based inks on recycled paper using wind based power. Made in the USA. 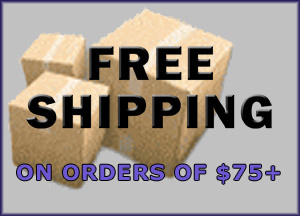 More Info: Assortment includes 3 each of 4 designs with tip-on, glitter accents and ribbon detail, along with 12 full color coordinating envelopes. 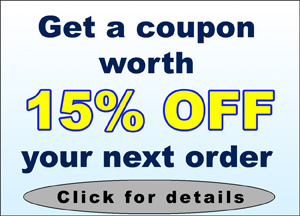 Occasions include birthday, thank you, thinking of you and get well soon. Each card measures 5x7 inches. This assortment comes in a 7.75x5.5x2 inches reusable keepsake box with a magnetic closure and ribbon tab. Inside: Congratulations on your new little star! Inside: enjoy your birthday, you've only got so many left. More Info: Features tip-on (die-cut image attached to the front of the card) lettering and specialty printing giving an incredible 3D effect to the card. This card is printed with vegetable-based inks on recycled paper using wind based power. Made in the USA. More Info: Feature diecut origami shaped tip-ons (die-cut image attached to the front of the card) giving this card an incredible 3D look and feel. More Info: Features an Eiffel Tower tip-on (die-cut image attached to the front of the card) giving an incredible 3D effect to the card. It also features gold foil trim. This card is printed with vegetable-based inks on recycled paper using wind based power. Made in the USA. 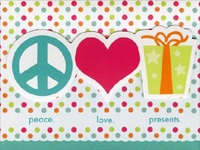 More Info: Features peace symbol, heart, and gift tip-ons (die-cut images attached to the front of the card) giving an incredible 3D effect to the card. Also features glitter and a diecut design allowing the interior panel to be seen along the bottom edge of the card. This card is printed with vegetable-based inks on recycled paper using wind based power. Made in the USA. More Info: Give the gift of flowers with this incredible 3-dimensional diecut wedding congratulations card. It features an actual ribbon and multiple layers of tip-ons (die-cut images attached to the front of the card) giving the illusion of a real flower. 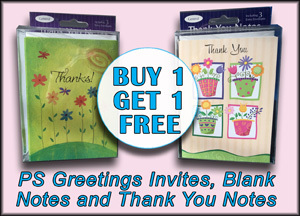 A coordinating envelope is included with this card. Inside: Celebrating you and the little one on the way! Inside: Congratulations on your new baby! Front: you tied the knot! 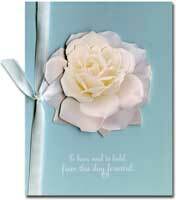 More Info: Features a diecut, scalloped square tip-on (die-cut image attached to the front of the card) with an actual white ribbon tied to the tip on giving a 3D effect to the card. 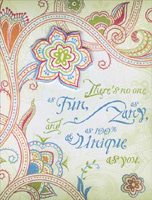 More Info: Hand decorations elevate this beautiful 30th birthday card into a wonderful keepsake that will be treasured long after it's received. Thin gold foil lines create an elegent frame around the border of the mocha cover, while spot UV treatment on the star, streamer and '30' illustrations create a wonderful shimmer effect and gold sequins add a touch of class. The finishing touch is the die cut '30' tip on numbers that float above the front artwork to create a magical 3D effect. Touches of glitter add a sparkle to the streamer illustrations. More Info: This hand assembled boyfriend birthday card features elegant gold foil accenting around the letters and border, gold sequin embellishments, spot UV treatment on the lettering to create a wonderful glossy look, 3D tip illustrations on each of the four corners and a brown ribbon along the right side of the card. More Info: The Water's Edge boxed assortment by Alan Giana includes 3 each of 4 designs with tip-on, glitter accents and ribbon detail, along with 12 full color coordinating envelopes. Occasions include birthday, thank you, thinking of you and get well soon. 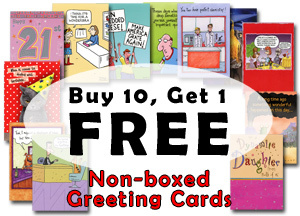 Each card measures 5x7 inches. 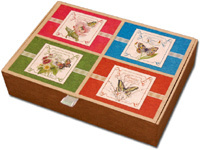 This assortment comes in a 7.75x5.5x2 inches reusable keepsake box with a magnetic closure and ribbon tab. Inside: Because there is no way to count the number of friends, kisses, full-belly laughs, life experiences, distant travels, heartfelt toasts, time spent with those you love the most, long walks, brilliant sunsets, or moments you swore to never forget. Wishing you a happy 70th birthday... Wishing you more of a happy life well-lived! More Info: This unique hand decorated 70th birthday card design features a wonderful assortment of high-quality embellishments to make it a keepsake long after being received. Spot UV coating creates a glossy pattern of 'V' shapes that repeat across the front panel while a thin line of glitter creates a sparkling frame / border around the outside edges. Four sets of silver sequins accent the corners of the card while a die cut 3D tip-on white banner floats above the card and the white ribbon that runs from top to bottom. 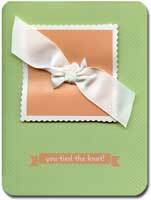 This beautiful card will bring a smile to the recipient's face. Front: You make 60 look amazing! More Info: Bronze and gold foil accent the leapord pattern on the front panel of this elegant 60th birthday card while touches of glitter and spot UV coating add a shine and sparkle to the artwork. A bronze foil trimmed 3D tip-on banner is affixed to the front of the card while two black ribbons run underneath. Bronze sequins add the finishing touches to this hand decorated keepsake birthday card.